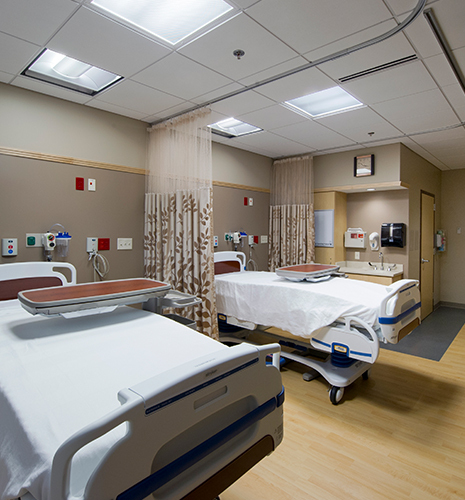 Designed hospital to meet program goals and saved approximately $2 million by reducing square footage by 10%, reducing to one floor, and minimizing infrastructure system lengths and material costs. 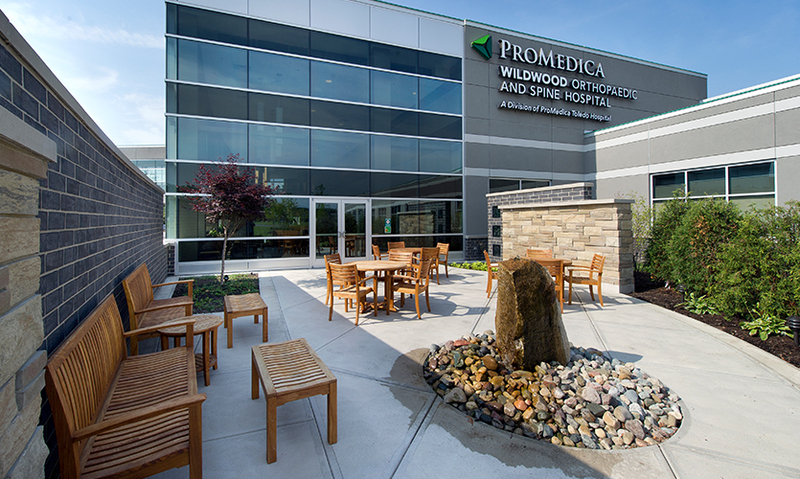 This single-story, freestanding, orthopaedic, and spine specialty hospital is located on a satellite outpatient campus of the ProMedica Health System. 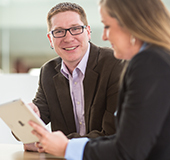 Support spaces include those required for state licensing and program operation. 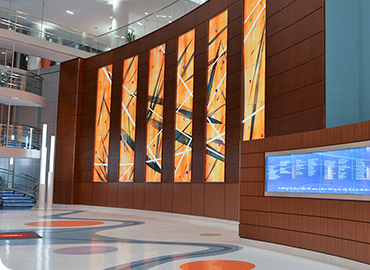 This facility is ProMedica’s first all digital hospital, complete with electronic health records technology, comprehensive inpatient and outpatient diagnostic services, including CT, MRI, and general X-ray. This project constitutes Phase II of the campus development for orthopaedic services (Phase I, construction of a Medical Office Building [MOB], was completed separately). Phase II involved linking the hospital to the MOB, which houses the primary orthopaedic physicians’ practice, via an enclosed, overhead pedestrian connector. 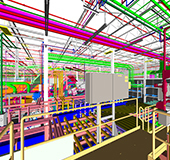 Our team of BIM experts utilized 3D modeling to develop and illustrate details of the project. 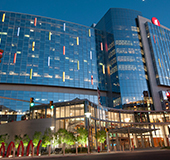 Since the new hospital is a significant addition to the existing campus, coordinating site access, circulation, parking, and utilities was critical to the project’s success. To address these issues, the orthopaedic facility was designed to be consistent with the existing campus master plan. 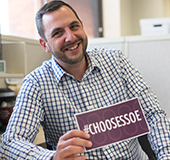 Future expansion needs were considered during the site / facility planning stage, as was the hospital’s environmental impact, to which SSOE responded by incorporating LEED principles into the design. The construction duration was approximately 15 months. Early civil and structural engineering packages were issued to expedite the construction process. To eliminate the need to fireproof the structural steel, the facility was classified as three buildings (each Type IIB construction). Each building was separated by a two-hour fire wall, with each containing two smoke compartments. TAGS: Healthcare	Architecture Architecture (Used in Filtering) Engineering Interior Design Master Planning Project Management	Midwest U.S. U.S.